Life is not for the faint of heart these days. Read the newspapers, watch the news, talk with friends or strangers and you hear some incredible stories. Unfathomable incidents that have occurred and you wonder what in the world is going on today. Violence, abuse, horrifying natural and unnatural events continue these days and it’s a wonder how we keep going. Perhaps some cover their eyes and ears to the darkness, choosing to not be a part of it or even see it. I know that for me, at times, this incessant feeling of darkness has pulled me away from the news. It’s not that I don’t feel for those who are experiencing such heartache and terror, but I just can’t handle it when I’m feeling overly sensitive. Still there are others who watch and worry with every bad news event that comes to fruition and I watch how it tears them up with fear. So what’s the answer? Is there a happy medium which we can find? I have to believe that there is hope in this world and that the world chaos’ crescendo will dissolve into the light of healing eventually. This is what I pray for daily. In the little things we do daily, we continue to be bursts of light and dawn by our kindness, our sharing and our caring. A smile to a stranger, the little bits of hopeful connections we share with others along the way, the love that we emanate through our shining heartlights all continue to battle the darkness. Life surely has its ups and downs. We can wallow in the downs, but we can buoy to the top with help. This life has strife, but we strive to continue to bring peace, love and light even as we battle the darkness. Join me in shining our heartlights so that we can lessen the darkness of evil and spread sunshine, love and healing to all whom we encounter. It’s Been 15 Years and I’m Still Here! Fifteen years ago today, I was diagnosed with breast cancer. At times, it seems as if it were yesterday. At others, it seems a lifetime ago. 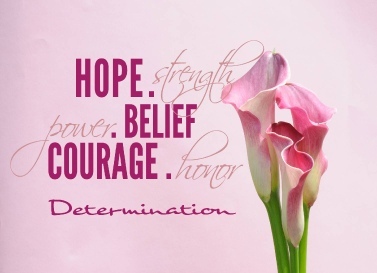 But as any cancer survivor knows, we never forget the diagnosis which begins this journey. So today, I celebrate with gratitude the triumph of still being here to enjoy my life with my children. Even though I celebrate this milestone alone today, I have many angels in my life to whom I look with loving gratitude for all that they have done for me throughout the years. I hold dearly those memories of loving support and kindness which were gifted to me. Indeed, sometimes it takes a village. My life has changed by leaps and bounds since that fateful day. I’ve overcome 10 + surgeries, chemotherapy, baldness, radiation and countless scares that the cancer had returned. I’ve loved and lost and let go. But what remains is my faith, my courage and my choice to stay here and fight for my life. I’ve learned so many lessons by enduring cancer, ones that perhaps I wish I’d never learned, but yet I am grateful all the same. So on this New Year’s Eve Day, please celebrate with me as I celebrate with you. Cheers with gratitude to the lessons learned in the past 15 years and cheers to another year filled with light, love, health, prosperity and happiness for all!